On my last trip to Sephora I treated myself to a few things as a birthday gift. Isn’t it great when you have a valid excuse to spend more unnecessary money on makeup that you really don’t need but cant get enough of? well yeah, story of my life! 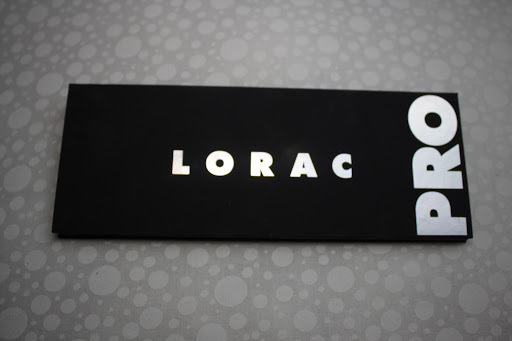 During this little shopping expedition I realized that I still hadn’t purchased the Lorac Pro palette that every beauty guru on youtube has been raving about for months! I kept telling myself that I would get it next time but then next time never came around. For the most part I want to believe that the price was keeping me from buying this little thing, but then again my urban decay palettes are usually the same price. Well, either way I decided to just go for it and give it a shot. Well let me tell you, I do not regret buying this palette not one bit! First, let me start with the packaging. Anyone who knows me knows that I am a full on sucker for packaging! anything that looks sleek and chic or girly and fun, must come home with me at that very moment! well this Palette is one of those products. It is so smooth and sleek that I am afraid of getting it dirty (which is actually one of my downfalls). The outside is made out of the same material that NARS cosmetics packaging is made out of so it can get dirty easily (but you can also just wipe it off just as easily). It is extremely light weight which is perfect if you want to just throw it in your bag and go. It has a magnetic snap to open and close which is my favorite type of way to open and close products because if I drop it, I know it won’t break and not be able to close again. Now let’s move on to the inside, which is of course the best part of all! Before I talk about the eyeshadows themselves, I want to mention the huge long mirror on the inside! It is the perfect mirror for on the go application, so you do not have to pack a mirror if you are carrying this in your bag or going on a trip. Now to the juicy stuff…there are 16 shades within the palette. Eight of those shades are matte and the other eight are frosted. Some of the colors you can possibly find similar to the ones in the Urban Decay Naked Palette, but most of them are slightly different or unique to this palette overall. 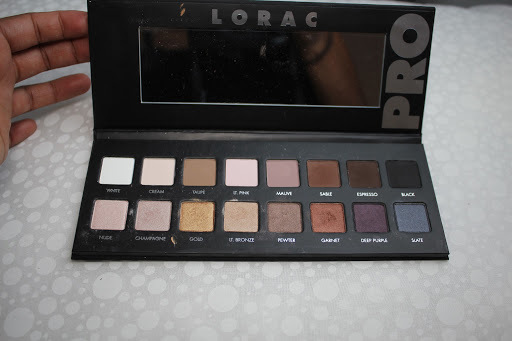 I also want to point out that although this palette has been compared to the Urban Decay Naked Palette, the colors in the Lorac Pro Palette are much more versatile. This is one of those palettes that you can take on a trip with you and not have to worry whether you’ll have enough eyeshadows to create different looks. About half of the colors both mixed between frosted and matte are light, which can be used for the eyelid or as a highlight. The other half of the colors, both frosted and matte as well, are a bit darker which can also be used on the lid for a smokey night time look or can be used as a crease color. 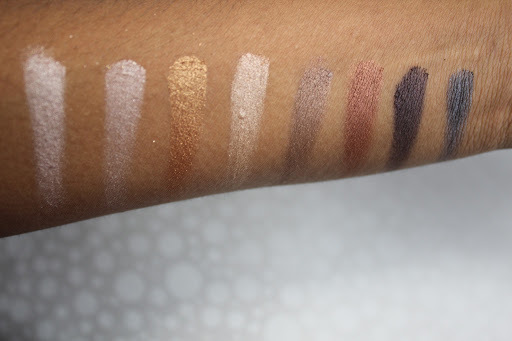 The eyeshadow’s are super soft with a velvet type of feel and guys…the color payoff is AMAZING! they are super pigmented which is exactly what you want to look for when buying an eyeshadow or palette. If you foil the frosted eyeshadows they become super vibrant and even more pigmented than they already are, which I did not think was possible! The matte colors have a little fallout when applying but as long as you tap them on you should be fine! The frosted colors on the other hand have minimal fall out and just go on so smoothly. *OH, did I mention the Palette comes with a mini Lorac eyeshadow primer ? I haven’t actually tried it yet because I will forever be a slave to the Urban Decay Primer Potion, but who know’s maybe I’ll cheat on that one soon and try the Lorac one for a little while. Where can you purchase? : Loraccosmetics.com, Ulta.com, Sephora.com and anywhere else that Lorac Cosmetics is sold. 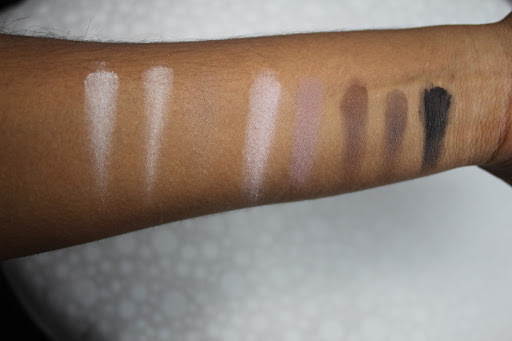 Overall Thoughts: Well, if you haven’t already guessed it by now, I am obsessed with this palette! I am ready to use this for my fall makeup looks and cannot wait to make videos using these eyeshadows! I definetly recommend this Palette to everyone, whether you like neutral makeup or like to go full on out. 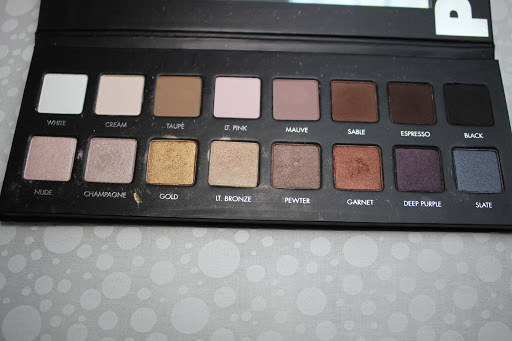 I might just prefer this one over my Urban Decay Naked Palette! (I know, I know. Shame on me. Well I still have a little place in my heart for my Naked Palette, but for now this will do).